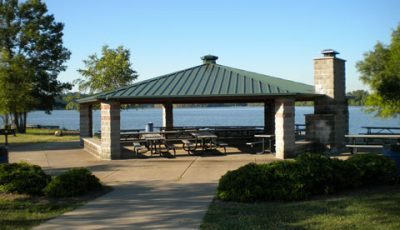 Creve Coeur Lake Memorial Park is 2,145 acres in size. 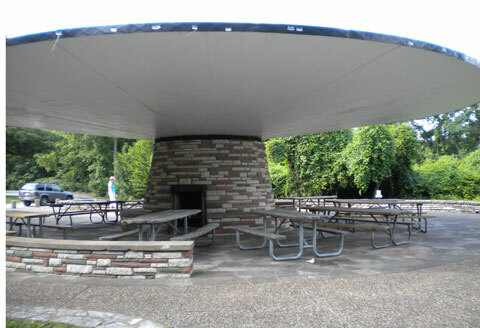 Located in Maryland Heights, Missouri, it is the largest park in St. Louis County parks system. You will never run out of stuff to do while visiting the park because there is something for everyone. In the warmer seasons, guests can rent boats or bicycles to spend the day adventuring. 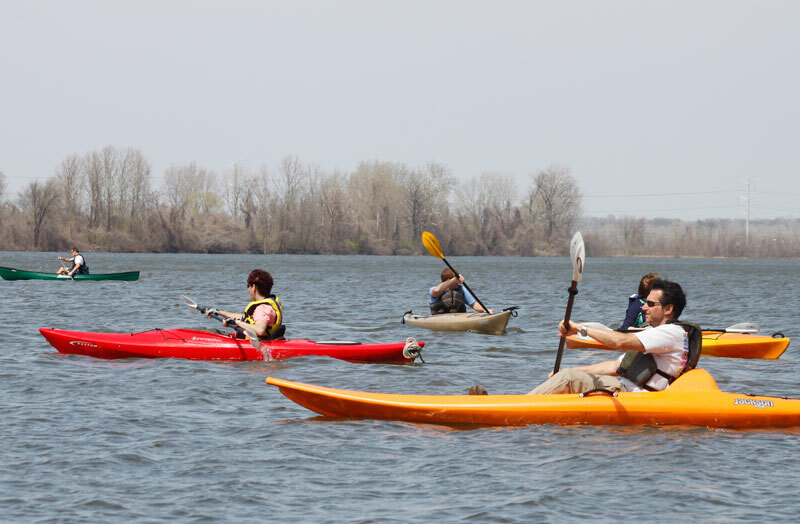 Getting out on the water is a blast if you rent a canoe, kayak, or paddleboard. If you just want to take in the breathtaking view of the lake, try the 3.8 mile asphalt trail that surrounds the lake. This loop trail is ideal for walkers, runners, bikers, or other activities like rollerblading. Pets are also welcome as long as they are kept on a leash. 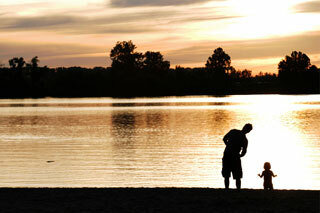 Creve Coeur Lake is an oxbow lake or U-shaped lake, that is one of the largest natural lakes in all of Missouri. Being 320 acres, the lake used to host boating events before the park officially opened. It was formed thousands of years ago when a meander loop of the Missouri River was cut off. A smaller lake, The Upper Lake was formed during this time but eventually disappeared due to siltation. The lake originally attracted a resort and vacation destination for visitors. A local to the area built multiple hotels, dance pavilions, and boat houses along the Upper Lake. He began offering up the grounds for the annual county fair in 1889, which were held there for the next thirty years. Between the years of 1950 to 1955, the lake was in trouble and almost dried completely up. Local conservation agents didn’t want the fish to all die, so they had people come and take as many of the fish as possible. Luckily, the Missouri River rose the next year, refilling the lake with water and restocking the missing fish population. A dredge operation started on the lake in 1974, which increased the surface acreage by 100 acres. This operation took the depth from 18 inches to 10 feet, and the sandy beach was discovered. The 1,600 foot beach is now the result of one of the most successful local government dredging operations in the country. Due to major flooding in 1993, all facilities in the flood zone of the park have been designed to withstand these conditions. There are also strong restrictions on the uses of the park and land other than for outdoor recreational use. 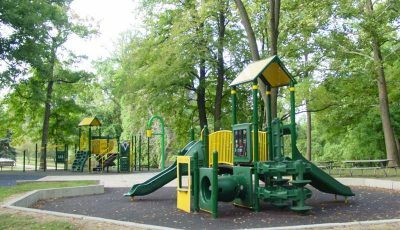 Today, you can have a picnic on the grass or at a pavilion, then head to one of the four playgrounds for an afternoon of fun with the family. During the summer, there are two Spray Fountain areas for the children to splash around in to cool off. Between the 18 hole disc golf course, the tennis courts, and the archery course, guests have plenty to do all day long. The beach area is perfect for watching the sunset or playing sand volleyball. No swimming or gas boats are permitted because the lake is stocked with wildlife from the Missouri Department of Conservation. There are designated fishing areas throughout the park and multiple fishing events take place throughout the year. A nice feature is that they have select restrooms open all year round to accommodate guests enjoying the outdoors in the colder months. There is also a variety of shelters or pavilions available to reserve for any occasion such as a birthday or graduation party. Creve Coeur Lake recently underwent an Asian carp removal project. It is estimated that there were up to 47,000 Asian carp removed from the lake, which is thought to be about 85% of them. They were introduced to the waters by the flooding of the Missouri River since 2009. This invasive species of carp can have detrimental impacts to the natural wildlife calling Creve Coeur Lake home. They can get up to 50 pounds and reproduce very quickly, which is why there was such a need for this project. These carp were negatively impacting the environment and ecosystem, even jumping out of the water and harming boaters. Hopefully, the removal of these carp will keep the natural wildlife and visitors safe from now on. Also…Weddings may be held at the Dripping Springs, great to know for those looking for a unique venue. The Maryland Heights Convention & Visitors Bureau is more than happy to assist. For additional information please visit https://www.visitmarylandheights.org. 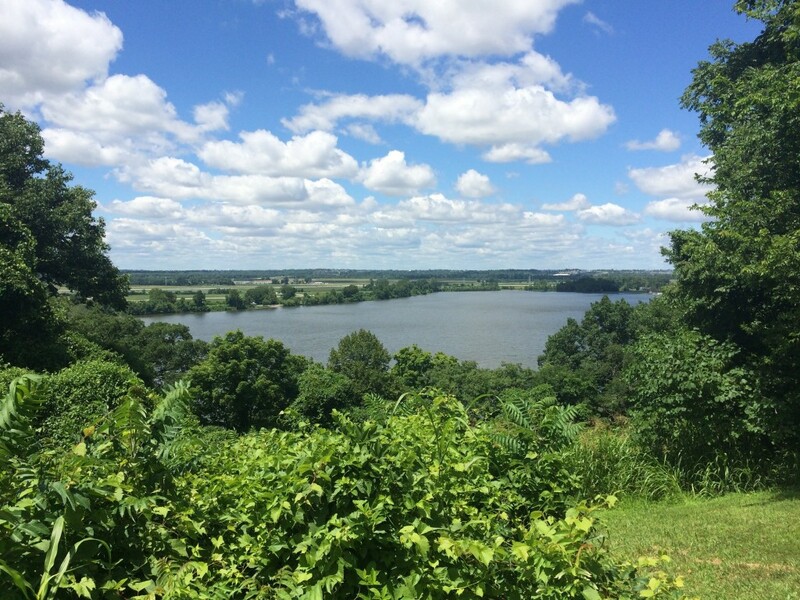 Have you ever wondered how Creve Coeur Lake got its name? Have you ever wondered how Creve Coeur Lake got its name? The famous Dripping Springs is the scene of the tragic death of the lovelorn Indian girl whose broken heart is said to have given the lake its sorrowful name – Creve Coeur. Creve Coeur is French for “broken heart”. In the late 1800’s a beautiful daughter of an Indian chief married a strong warrior. They were madly in love but the warrior, like many of the Indian men did, had to go off in hunting parties. These hunting parties would go on for at least 6 months. When the party finally came back her husband did not come back, he had died along the way home. She, who was heartbroken, went to the top of the cliff that is right at the entrance of the park and jumped off into the water below. Now the water falling from the cliff is only in little drops, like tears. At night, and on a quiet day, you can hear a woman cry, and several other people, presumed to be the crying of the loved ones she left behind. Only on full moons, whether you’re standing at the bottom of the cliff, or on the lake looking on from a boat, you can see a woman at the top of the cliff looking down crying, she never seems to realize other people are around her. Often she jumps off; freighting the onlookers who think a mortal has just jumped. When people see this they go to the cliff to try and help the mysterious lady, but when they get there no one is there. Recently while 3 men were hiking at night, they claimed to see a woman walking in front of the crying. When one of the men, who was of Indian descent, went to approach her she hugged him and started speaking to him in her native tongue. Since he could not understand her he just shook his head. She ran off crying when he did not converse with her. The 3 men, now intrigued, followed her, while she ran to the cliff and jumped off. The three men were terrified, not because she jumped but because she disappeared in mid-air.